Delicious options for healthy eating care of your local General Store and Catering company. 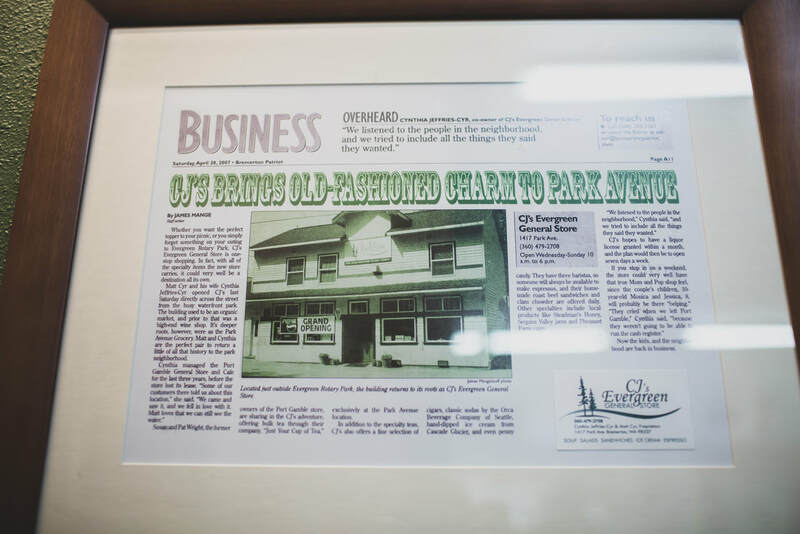 CJ opened the general store in 2007 and expanded in Fall of 2009 to include catering, providing delicious meals for all types of events throughout the Kitsap Peninsula! Find us at farmer's markets and festivals or visit us for a sandwich, treat, or beverage at our brick and mortar nestled next to Evergreen Rotary Park. There's no secret to w﻿hat is the basis for great tasting food. By starting with the right ingredients, the taste buds are never disappointed! Garden Fresh Food from Farm to Table - Locally Grown Products! Whenever possible we buy locally grown products. Kitsap first, Washington state second, Pacific Northwest third. Great Food...on Time - Reliability & Thoroughness! We pride ourselves on being prompt and professional. We deliver and provide our food and services within your budget. We clean up after ourselves and we approach each job with a 110% commitment to exceed our customers' expectations. An absolute gem! Homemade, local, carefully selected products. The shop owner and employees really care about the neighborhood they serve. - Melissa S.
We are active members of our community, proud of our partnerships with Kitsap Fresh, StandUp for Kids, Kitsap Pumas, Farmers Market, and the Bremerton Symphony.